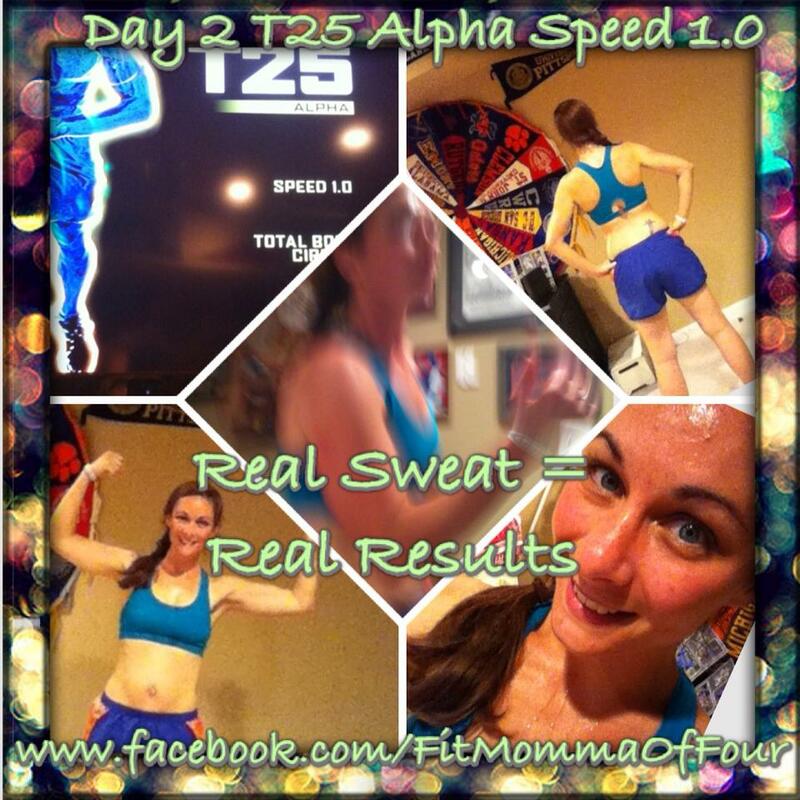 Day 2 of Focus T25 in the bag! My alarm did not go off this morning, so my workout had to wait until the baby's nap time. Thank goodness it is only 25 minutes & the other kiddos are old enough to occupy themselves for that length of time. My daughter was even my photographer for today. I usually work out first thing in the morning on an empty stomach, so working out shortly after lunch was not the most comfortable feeling, but I made it through. I feel like I was closer to "nailed it" today, until the last 2 mins. when my legs wanted to fall off. As they say, if it doesn't challenge you it won't change you! Right?!? Thank you Shaun T. for the stretching portions of the Speed 1.0 workout...they helped me breath & gave me the ability to really focus on my form for the speed intervals. I also remembered to take my "before" pics today, which I had forgotten yesterday. I can't wait to see how this program changes my body!